Driving along the coastline situated on the outskirts of some ancient cities, you can notice wide spread industrial estates with numerous small and large scale industries. It makes one inquisitive about the advanced technologies and sophisticated machinery driven by enormous energy supplies that are seamlessly operating to manufacture goods inside these industries. The tall chimneys billowing smoke, in other words the greenhouse gas emission releasing carbon dioxide, methane etc., cannot go unnoticed. Such coastal industrial estates with a harbor close by, and proper transport infrastructure have paved way for some of the world’s best industrial estates in the world. Jubail in Saudi Arabia, Shenzhen in China, and Rotterdam in Netherlands are a few of the many estates that showcase impressive transformation stories from small fishing hamlets to large industrial estates. Each of these estates host units of various sectors such as petrochemical, refineries, food processing, engineering industries etc. It may be less surprising to know that the scattered manufacturing units here are some of the bulk consumers of energy as well as the biggest carbon footprint sectors worldwide. Though the industrial sector shares a sizable portion in the most energy consuming sectors graph, it is lesser than the sophisticated commercial complexes and the most advanced transportation sectors. With expanding businesses, it has now become very crucial to reduce on the energy consumption in these industries for two reasons. First, the most obvious reason, to reduce operational cost, the second, to conserve the fossil fuels for future generations. In addition, renewed government policies on energy standards and reducing carbon footprints has called for report-based analysis of the effective and optimal use of energy in industries. As a boon, the IoT centric applications now provide the 3 Ms mantra with Monitor, Measure, and Manage strategy to combat the rising OPEX due to rising energy cost and at the same time be good to the environment. There is great potential in the way an industry functions and delivers with the Monitor, Measure, and Manage mantra – Firstly, monitor to ensure smooth functioning while focusing on safety and identifying operational risks. Secondly, measure to effectively track progress and plan for future expansion and development. Lastly, manage through automatic or remote control systems, and enforce intelligent predictive maintenance systems. 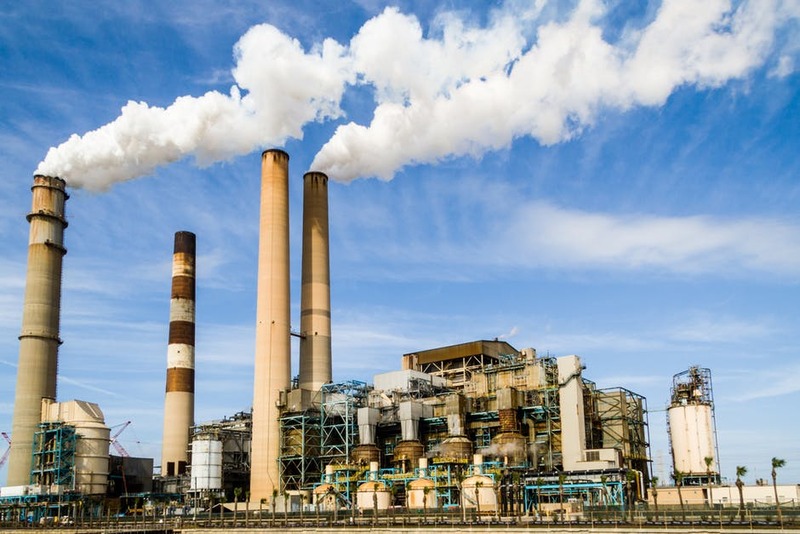 Consider a Petrochemical industry where a power outage or malfunction in any of the power supply units would directly mean huge loss in the revenue. An effective IoT Energy Management System (EMS) is capable of identifying any abnormal functioning of the machinery such as generators, gas turbines, chiller plants, and HVAC systems etc. Spotting critical metrics with proper alerts can help in optimization, and in some cases alerts raised on malfunctioning machines can prove life saving. Monitoring and measuring throws light not only on the energy parameters of an industry, but enables deriving energy cost impact on the industry’s manufacturing throughout and also enables creating visibility on the energy efficiency of operations. This opens opportunities to compare against industry standard SLAs and identify optimization opportunities and plan for tangible savings. An industry’s progress would also mean advanced automatic functioning controlled by triggers associated to monitored metrics which is now feasible with the industrial IoT apps. Imagine how tedious it would be in the modern large chemical industry for a supervisor to manually operate controls. Carbon and GHG emission check plays a crucial role in the survival of the industry. The surging pollution rates, as stated in the recent news, is threatening the environment greatly, and therefore it is essential for governments to impose stringent rules. Concentrations of carbon dioxide in the atmosphere surged at a record-breaking speed in 2016 to the highest level in 800,000 years,” the World Meteorological Organization said. With proper 3 Ms implementations using the IoT application, these emissions can be measured and represented graphically to provide comparative adherence percentage reports with government standards leading to a healthy environment. The 3 Ms magic with the best of IoT EMS solution has the capacity to convert these bulk energy consuming estates to environment friendly, energy conserving sites worldwide.